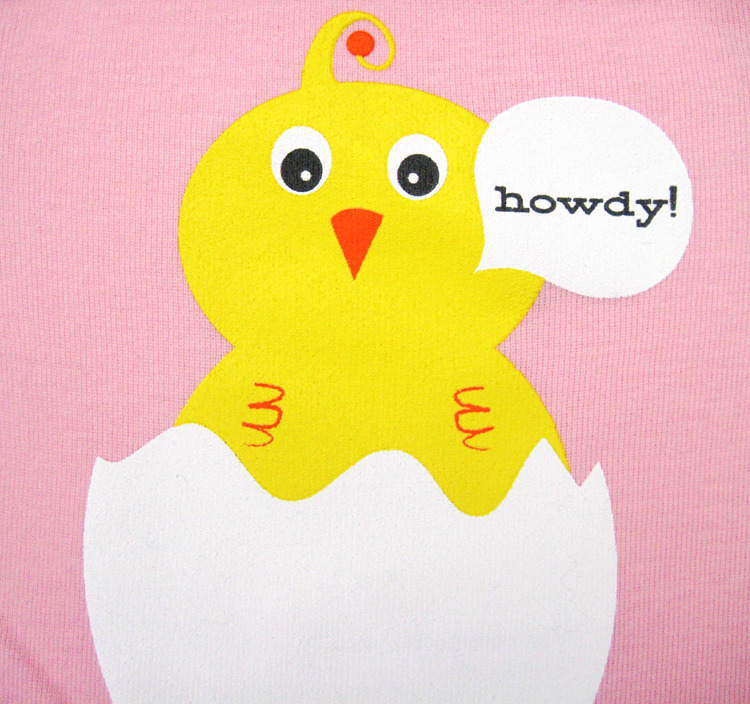 Howdy Chick Pink Infant & Baby t-shirt. Hello sweet little Hatchling! Welcome to the world. 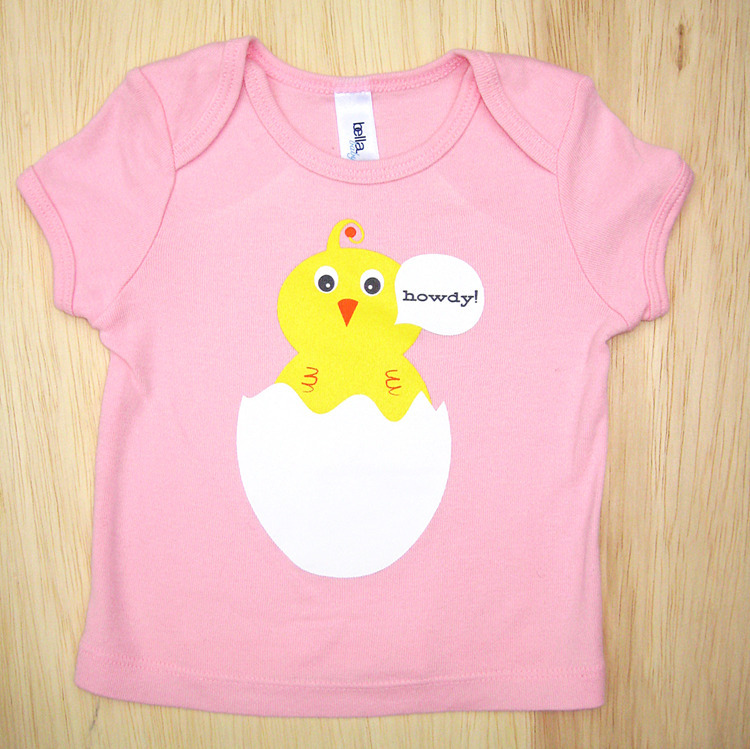 Hand printed infant & baby tshirt with our sweetpea illustration featuring a new little baby chick who just popped out and is saying hello. Printed on high-quality Bella brand Baby Rib Short Sleeve tees that are super soft and ready to go. 100% combed and ring-spun cotton 5.8 oz weight, baby rib knit. Available in sizes 3-6 months / 6-12 months in our shop here.